There are already two DSi colors in American: blue and black. 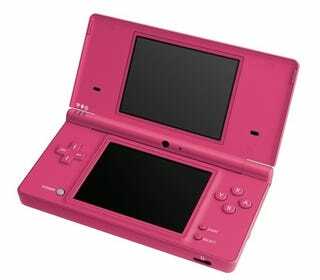 Compare that to Japan, where there are five DSi colors. While Pink and White DSis are already available in Japan (along with Black, Lime Green and Metallic Blue! ), the colors have not been sold in the States. Nintendo of America has announced White and Pink will go on sale in the US starting September 13. Both are priced at US$169.99 each. Oh, and we told you so.